Career Career - EUROTEC, k.s. 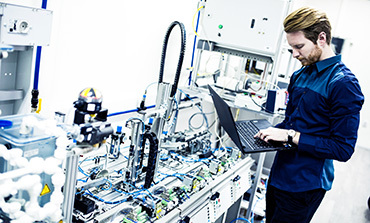 Would you like to work in a modern technology company which allows you to take full advantage of your professional know-how, skills or craftsmanship? Eurotec k.s. offers all job applicants a stable position in a successful company which has been operating on the market for over 25 years and is one of the most renowned partners of multinational companies such as Braun, Bosch and Siemens. The better the work of our employees, the better they will be off. We primarily strive to search for new procedures and ways of increasing the efficiency of production processes. Eurotec k.s. is a stable company with secured sales for at least several following years. Its current primary focus is the improvement of employment conditions. We strive to improve the working environment and offer conditions which ensure that all of our employees can enjoy the benefits of job stability. The top-notch technological background of Eurotec k.s. represents an ideal environment for the application of our employees’ know-how and skills. We believe that only the use of the state-of-the-art technology can ensure the continued success of our company. 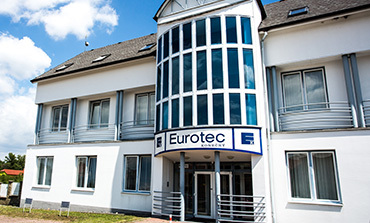 With its 800 employees, Eurotec, k.s. is already one of the largest employers in the region. Nevertheless it continues to grow and increase its capacities. That is why we are searching for suitable employees, especially for positions in production. Our subsidiary Partec a.s. also offers a number of attractive positions for suitable applicants.